I have loved theme parks since I was a little girl. While I didn’t grow up going to Disney, I did spend many summers at Six Flags Great Adventure and Hershey Park (and Coney Island, if we’re counting that). 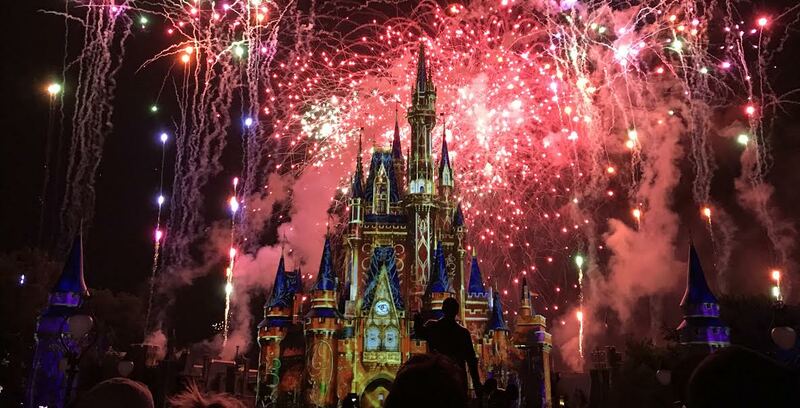 Moving to Florida ignited a deeper love of theme parks for me as I finally got to navigate through the Disney and Universal waters, which is how this blog was born. I actually can’t believe it has taken THIS long to write this post (blame my job, my travels, and my incessant need to try and catch up on sleep), but I have exciting news to share! I was contacted by the Senior Production Manager (!!!!) to serve on a panel comprised of theme park experts (!!!!) to pick nominees for every category. From our individual lists of nominees (up to 20), 20 were put on each list for readers to choose the top ten from. Let’s back up one minute, though. I. AM. A. THEME. PARK. EXPERT. You have no idea how…incredible it felt to be referred to in such a high regard. And this panel of experts isn’t large, either. Aside from myself, there are only six other members on the panel, including Josh Young, editor of Theme Park University, and Clint Novak, host of a podcast called In the Loop. I didn’t start this blog knowing that things like this could happen to me. I started this blog because I love to write, I love theme parks, and I love interacting with others who feel the same way. I never could’ve predicted winning tickets to the Disney Parks Blog Meet-Up for Mickey’s Not So Scary Halloween Party in 2014, which led to me realizing that I could turn my love of writing and social media into a career (and I freaking did it, might I add). I never could’ve predicted winning tickets to the Halloween Horror Nights Social Media Meet-Up in 2016, meeting some of the creative team, and writing about my experience. I never could’ve predicted being part of Disney College Program marketing thanks to the success of this post. And, not in a million years, could I have predicted something as huge as THIS. And you know what? I have all of you to thank. Without your continued support, this blog wouldn’t be what it is and I wouldn’t be able to see what it could be down the line. While I strive to be as educated in theme parks and as up-to-date on theme parks news as possible, this has never been the blog where you will get breaking news and POV ride videos. It’s just me here, and I certainly don’t have the capacity to perform such a task. Now that I am back in Orlando, however, I do plan on being more on top of getting footage of new rides/entertainment and sharing that with you, especially through my FB page, which you can ‘like’ here. What I have always done, however (and what I think sets me apart), is shared my personal experiences, and the experiences of others, with an audience that I know truly cares. And in the coming months, I hope to continue to humanize these brands that we have come to know and love because behind the attractions you ride, the entertainment you watch, and the food you enjoy, there are real people who have remarkable stories to tell. This blog is just about four years old now, which is mind blowing to me. And now that I see what this can be, nothing is going to stop me from continuing to build this brand. Psssst. There is still time to vote for your favorites in each section by clicking here. Be sure to tell me in the comments what your number one pick is for each category so we can discuss!